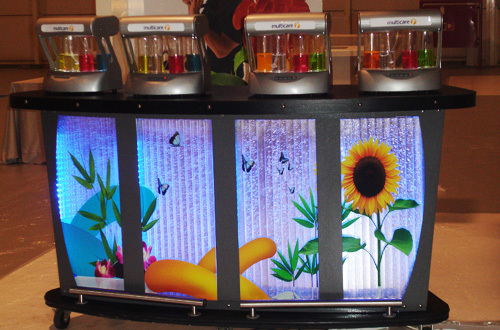 Bar O2 are proud that we started the UK oxygen bar craze back in 2001 and are now the UK's market leader for high quality rental and supply solutions. 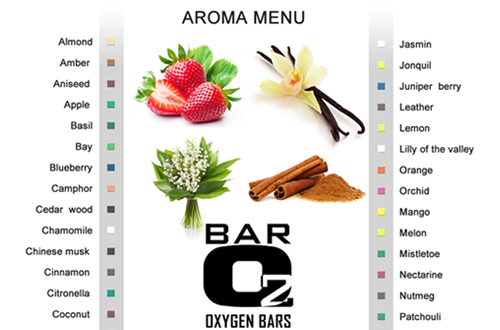 Our Oxygen Bars provide pure oxygen and mouth watering aromas and can be found at corporate & private parties, festivals, health spas, gyms and tanning salons at shopping centres and even on the high street. We supply the entire package from oxygen stations (Infusors), oxygen bars, oxygen concentrators (including parts), to service contracts and emergency repairs. All our equipment is warranted and CE approved. We provide 1 to 16 station, single or multiple Oxygen Bars for Special Events, Exhibitions, Conferences, Awards, Corporate and Private Parties, Product Launches, End of Term Balls, Fresher's Parties, Proms Nights, Weddings or any occasion that needs something different & unusual. We offer international coverage, staffed or un staffed bar hire from 1 day to 1 month duration, on site technical back up we are the O2 Bar experts. 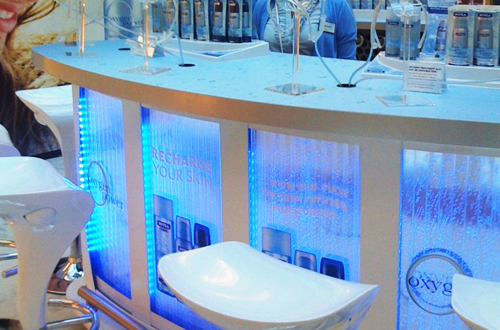 Our spectacular Oxygen Bar Events leave users invigorated, stimulated and revitalised; we always draw a crowd and are always THE talking point of the event. • Risk Assessment, Method Statement & H&S Declarations included. • Events booked where payment has not been paid, sorry we will not attend.